Sell-side analysts most often assign companies “buy” ratings and almost never tell investors to “sell.” An analysis from Bespoke Investment Group found that out of 12,122 ratings for all stocks in the broad market index, less than 7% were labeled sells, as shown in Figure 1. A more recent CNBC analysis reported that the percentage of newly issued ratings of “sell” or “underweight” was only 5% of the total. This phenomenon is not new to regular market followers, and it was on full display surrounding the IPO of Snapchat (SNAP). 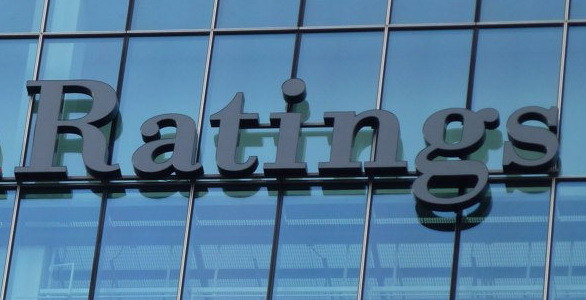 Are Underwriter Ratings Particularly Conflicted? Angering clients that may have bought the IPO through the analyst’s firm. Offending the bankers (who typically run the firm) that worked hard to win the IPO deal. SNAP was our Danger Zone pick on February 6. The undue influence that an underwriter can potentially place on research, even when it is unspoken, at least appeared to be on display around this high-profile deal. The stark difference between research coverage issued prior to (by non-underwriters) and subsequent to (by underwriters) the actual IPO speaks for itself. There are now over 30 publicly visible analyst ratings on SNAP with an average recommendation of 2.8 on five-point scale, indicating a very slight overall positive bias. The average analyst price target of $23.50 (high: $31 / low: $10 implies upside of just 3% from current levels. We find it notable that projected appreciation is a mere fraction of the 99% 2018E revenue growth that analysts have used to craft these price targets. “Brown-Nosed Buy” – a buy rating to avoid upsetting the CEO of the firm under coverage. “Client-Driven Buy” – a buy rating for a stock that is a large holding of one of the analyst’s largest clients. “Neglect Buy” – a buy rating arising when an analyst fails to downgrade a stock even when he/she knows they should have; backtracking now would be embarrassing. The most alarming detail in Mr. Davies’ confession is that buy/sell ratings are largely ignored by institutional investors but dangerous to retail investors. Though Wall Street may provide some of the best research in the world, the potential and actual conflicts are obvious, have always existed and are inherent in the sell-side business model. Not all the Wall Street research is conflicted. However, one can never know which reports are or are not conflicted since all the disclaimers in every report warn that each report may be conflicted in a myriad of ways. Equity research is a cost center and does not directly generate any revenue. Analysts provide value to the company, not by issuing accurate research reports, but by convincing clients to trade and companies to use the bank as an underwriter. Independent due diligence is part of fulfilling fiduciary duties, and it tends to pay. Only by reading through the footnotes and making adjustments to reverse accounting distortions can advisors and investors meet the fiduciary duty of care. This article originally published on May 8, 2017. Disclosure: David Trainer, Kyle Guske II, Kenneth James and Sam McBride receive no compensation to write about any specific stock, style, or theme.